Happy Monday, dear readers! It's April Fool's Day, so I hope you're keeping an eye out for those tricksters out there! I'm generally not a fan of the day as I've been exposed to far too many "jokes" that aren't funny, so rest assured that this post is completely prank free. 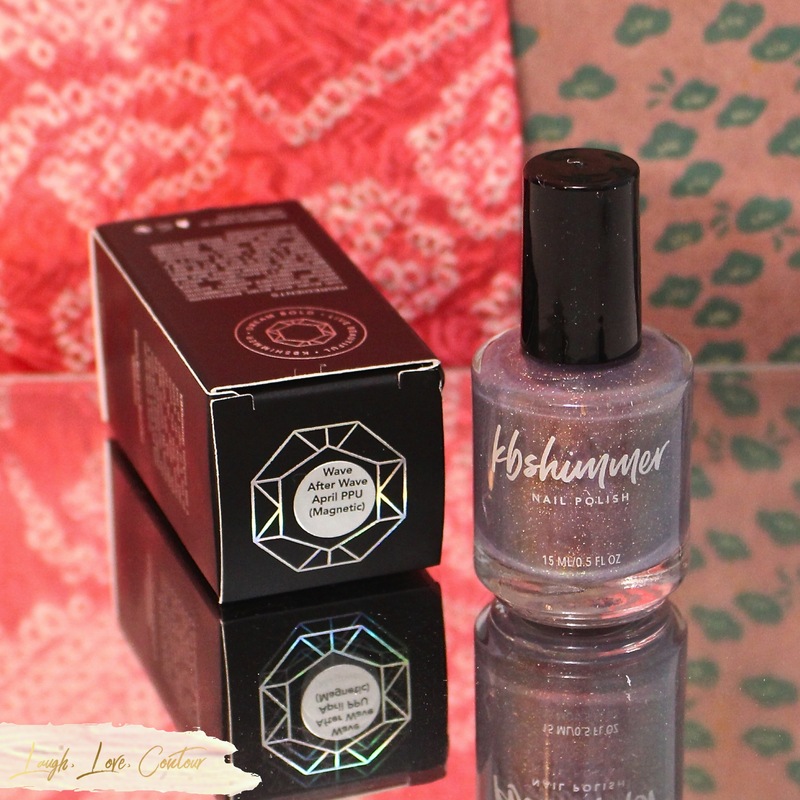 This Friday is the launch of the April Polish Pickup; today's post features KBShimmer's contribution, Wave After Wave. Water makes me happy. From the lakes of Minnesota and Wisconsin where I grew p, to the oceans and seas I've come to cherish through my travels, it's no surprise that when searching for artwork to inspire April's PPU shade, I was drawn to "The Ninth Wave," a painting by Ivan Aivazovsky. This painting depicts a raging sea, with a legendarily powerful and destructive "ninth wave" approaching shipwreck survivors clinging to the cross-like mast of a ship's wreckage. The warm tones and dawn's breaking light give us hope that man will overcome, in spite of the wave's potential for destruction. Inspired by the Aivazovsky painting, Wave After Wave starts with a stormy base of gray with subtle lavender tones. A strong coppery red to gold magnetic shimmer is set off by gold flakes, while bits of micro holo flakes add a hint of sparkle. This first set of photos is shown by using Wave After Wave as a regular polish with two coats plus top coat. 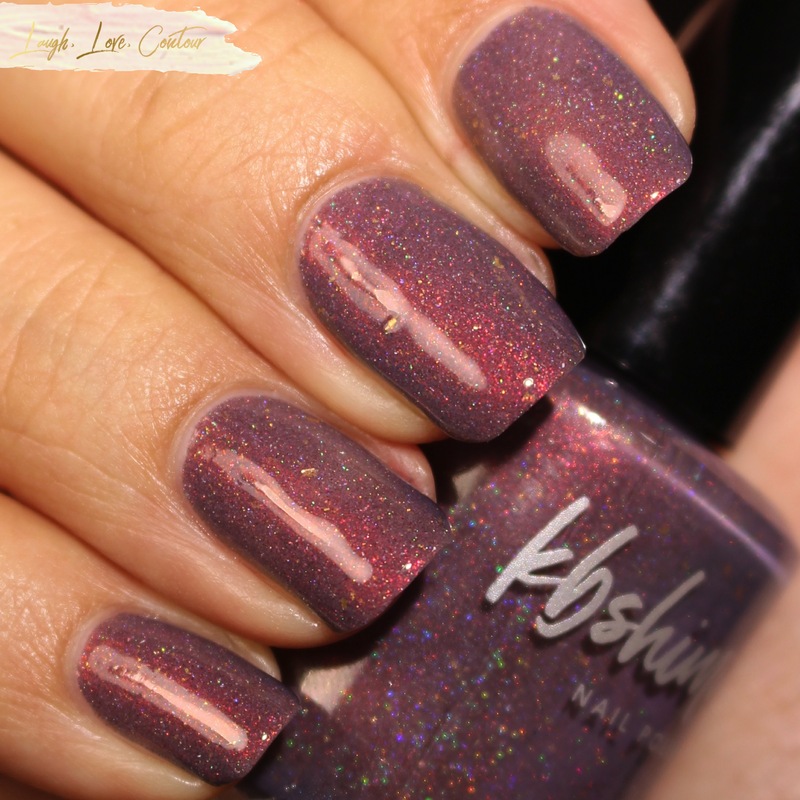 When used with a magnet, the base's lavender tones and gold flakes really take center stage! 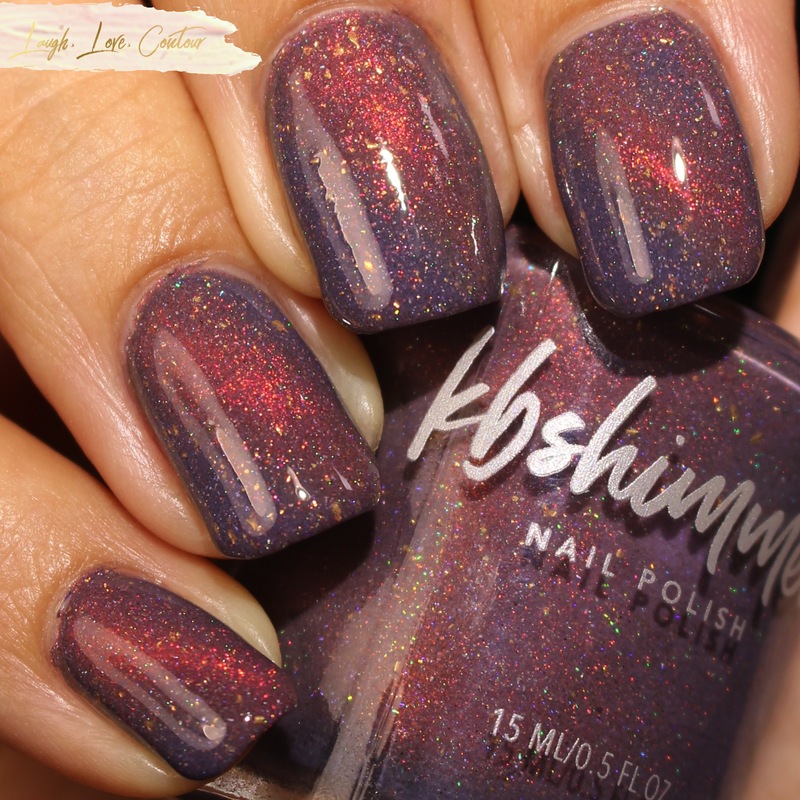 Wave After Wave will be launching this Friday at 11AM EST on the Polish Pickup website. There is no cap on the number of bottles available, and each bottle will retail for $10. It will only be available through Monday, April 6th so be sure to pick it up when you can! How do you prefer Wave After Wave? 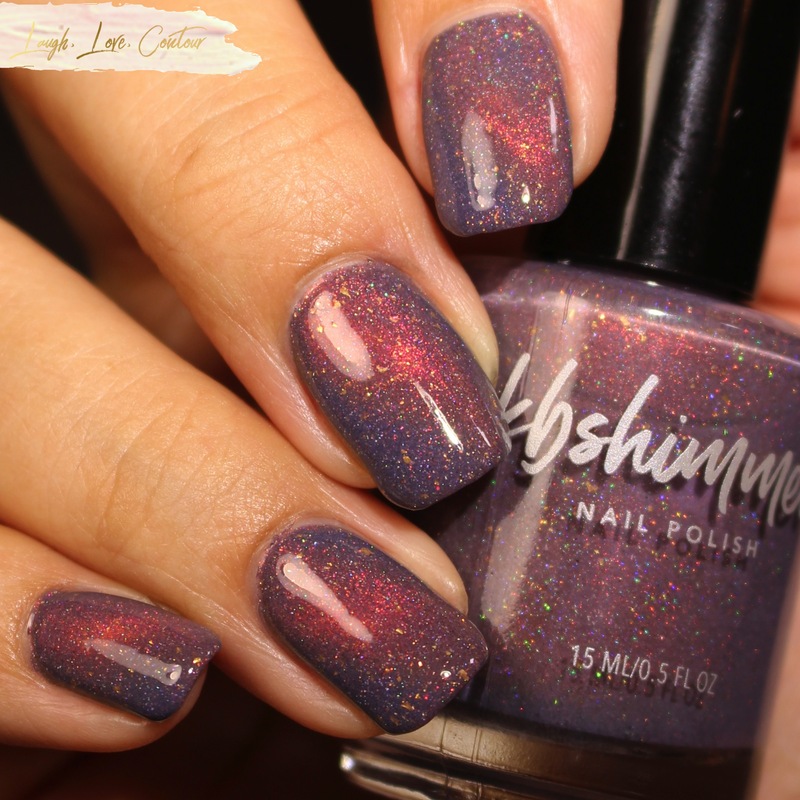 Do you like it more when applied like a normal polish or do you prefer it with the magnetic effect? I'd love to hear from you! This polish is gorgeous. I die over their magnetics lately they are so unique and beautiful! 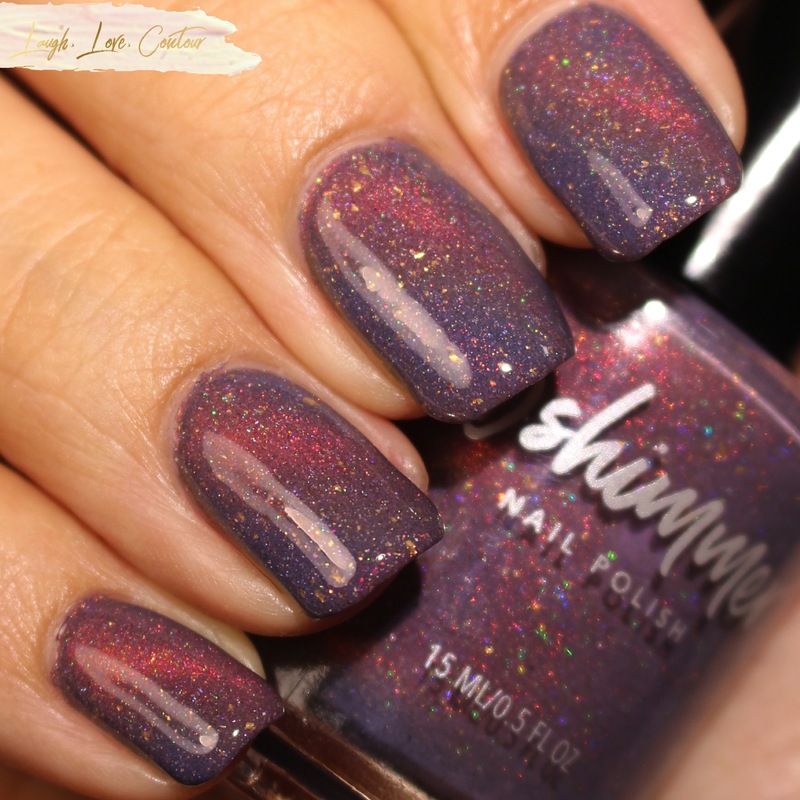 This is a really beautiful polish. The colors really work well together! Damn that is pretty! I've never been tempted by a magnetic, until now. From the first photograph, I thought this was going to be a paler polish, but I love the medium grey-lavender base, and the magnetic effect is utterly stunning! I love the sparkle in that shade. This is in my cart! I love these pastel magnetics. This color is everything. It’s stunning! This is such a unique polish! I think I prefer it unmagnetized though. Whoa! That glows both ways! Its beautiful! Also love the name, reminds me of a song! I still haven't tried these "new" magnetics on the market... I gave up years ago but man there's some beautiful stuff out here! I wish I could see it in person to really pull all the angles myself but I love how many photos you took! I love that copper shimmer!!! Such a unique lacquer and the magentic effect adds a fun new element.